A couple of weeks ago I went to a birthday dinner celebration for my beloved friend, Dave. 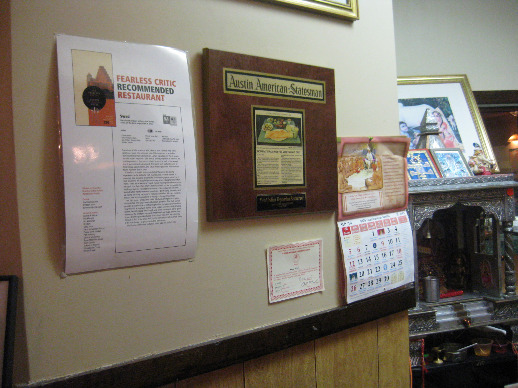 He picked his favorite Indian place for the occasion and I was ecstatic that it was a place I hadn’t eaten at yet. It was at his birthday dinner at Swad, an Indian hole in a wall establishment, that I reconnected with his former roommate, Gina. Seems like I see her only once a year and always at Dave’s birthday. I quickly recruited her as my eating buddy after catching wind that she could not make a decision on what to eat. 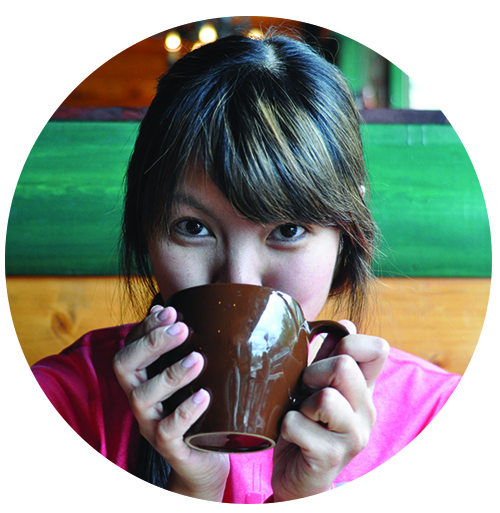 There is power in numbers when it comes to eating at a new restaurant. The more you share, the more you get to try! 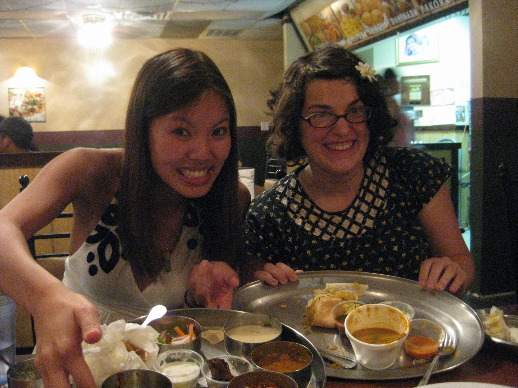 Between the two of us, we ordered an order of samosas (~ $3.00 for 2), a dosa (~ $8.00) and the thali (~$11.00). 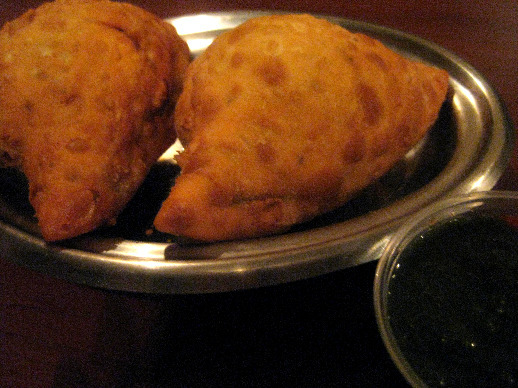 Samosas are usually served as appetizers and are fried pastries stuffed with savory fillings. 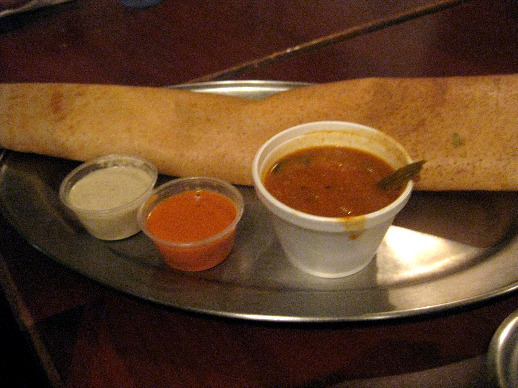 Dosas are Indian crepes. 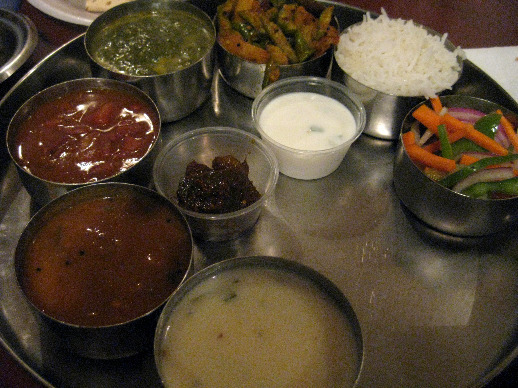 Finally, thalis are Indian meals made up of a sampling of different dishes. Thalis usually come out on trays carrying smaller containers and they remind me of Korean banchan. The feast between the two of us ended up being an embarrassment of riches in comparison to the more modest portions of our eating companions. The samosas here are plump with glorious amounts of veggie filling. 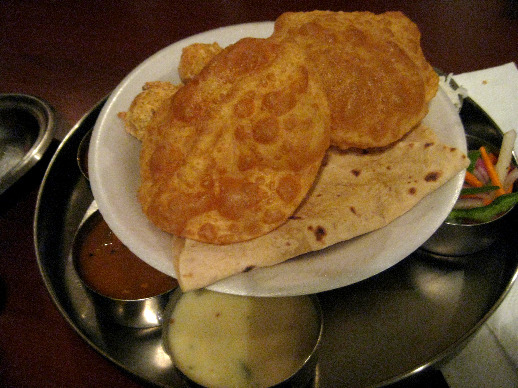 The thali like the dosa, when paired with an order of samosas, is actually enough for two people. My favorite bits were the seasoned and sauteed beans and the saag paneer. Next up came the dosa. I’ve had a few dosas in my time and Swad’s pretty good. It was a slightly misleading in that most of the length of the tubular dosa was empty. But even then, a pretty sizable meal for one person. 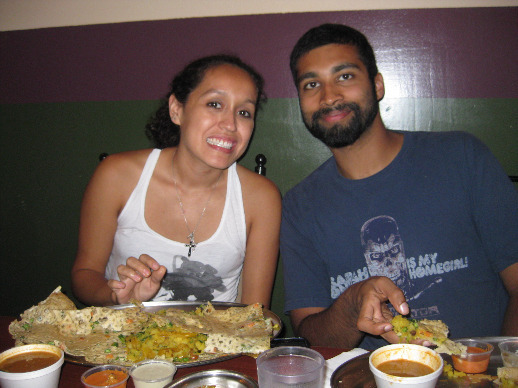 With a pairing of a samosa order, you can definitely split the dosa and be happy. 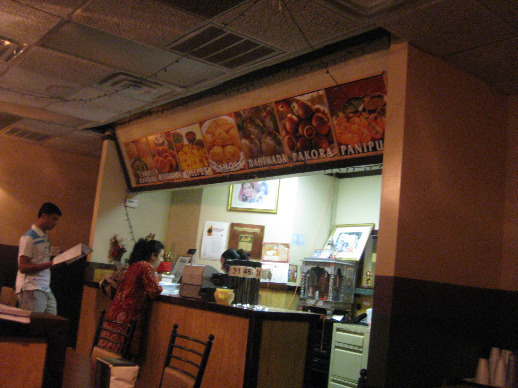 I’m happy to add Swad to my list of go to places when the craving for Indian cuisine strikes. Unpretentious, inexpensive, and flavorful, Swad has a new loyal patron in me. There is one thing I almost forgot to share. 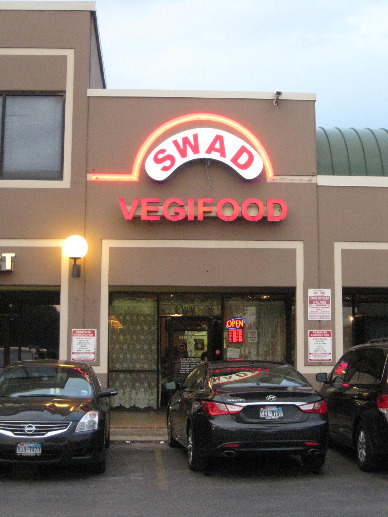 Swad is a vegetarian restaurant. I’m most definitely an omnivore but still found this place completely filling and satisfying and did not miss gnawing on animal flesh. Just a note to all you fellow non-vegetarians.